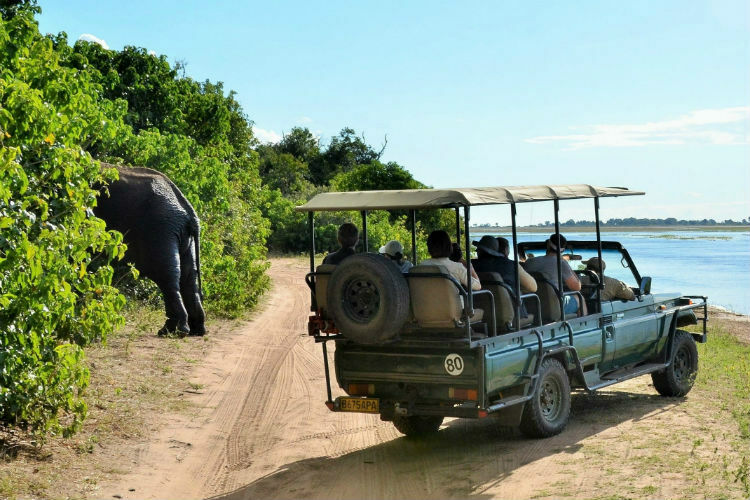 Enjoy a Thebe River Safaris game drive into the stunning Chobe National Park or a relaxing sunset cruise on the Chobe River where game is prolific and the chances good that you will see something spectacular. We also offer overnight safaris in the park and Chobe day trips for those staying in Victoria Falls. As one of the pioneering safari operators in the region we are perfectly placed to ensure you have an unforgettable experience. 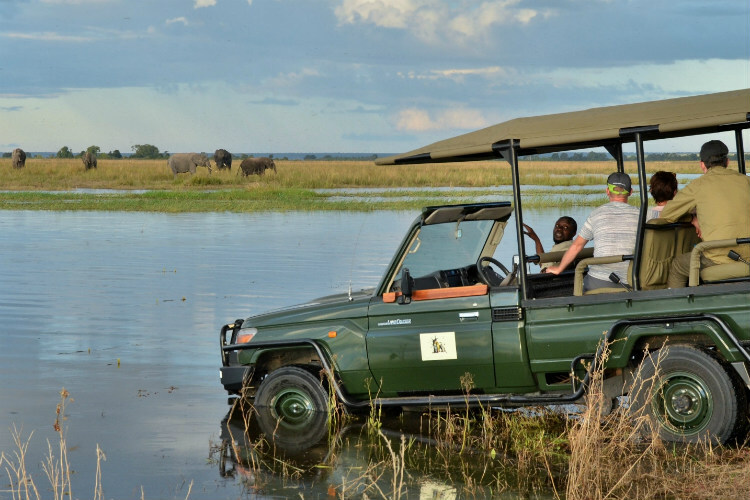 Explore Chobe National Park in an open-backed, open-seated safari vehicle, and experience the stunning wilderness of the game-rich park in the care of one of our knowledgeable and friendly guides. We offer early morning, midday and afternoon game drives, each lasting 3 hours. During game drives it is not uncommon to spot several of Africa’s “big five” species. Elephant are very common as are lion sightings. The birdlife is excellent at the right time of year (August to April) with many unique sightings in the greater Chobe area. 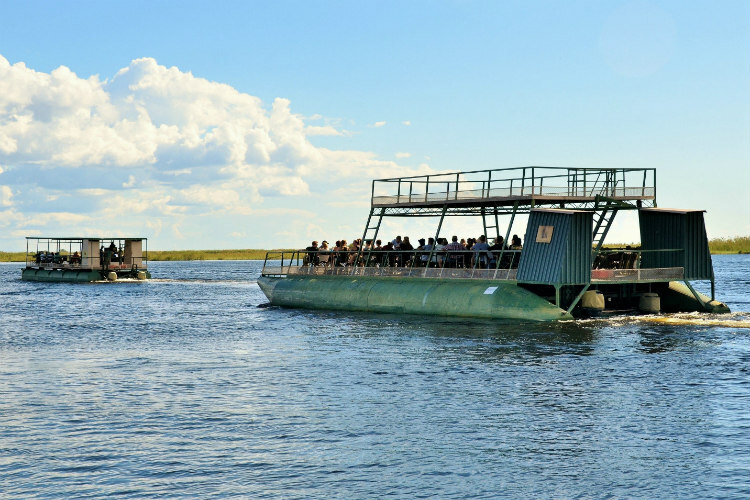 Take to the waters of the Chobe River on a Thebe River Safaris cruise and watch the marvels of the wild as the sun sets over the stunning landscape. Elephant are commonly seen on the river's edge, as are buffalo, kudu, bushbuck, hippo, crocodile and sable. Birding can be incredible during the Summer months (approx. August – April). Depending on the number of guests, cruises are either on a large pontoon boat which seats 120 pax, or on a smaller aluminium speed boat which seats a maximum of 20 pax. Guests are welcome to take their own drinks on the cruise and watch the sunset from the water. For those who wish to experience Chobe but have limited time, Thebe River Safaris offers Chobe day trips with convenient pick-ups from the Kazungula Ferry/Zambian border and Zimbabwe border. Enjoy a day of adventure in Chobe National Park on board either a safari vehicle or boat, and witness spectacular wildlife up close. We also offer one, two and three day mobile safaris in Chobe and beyond. For further information visit our Mobile Safaris section. 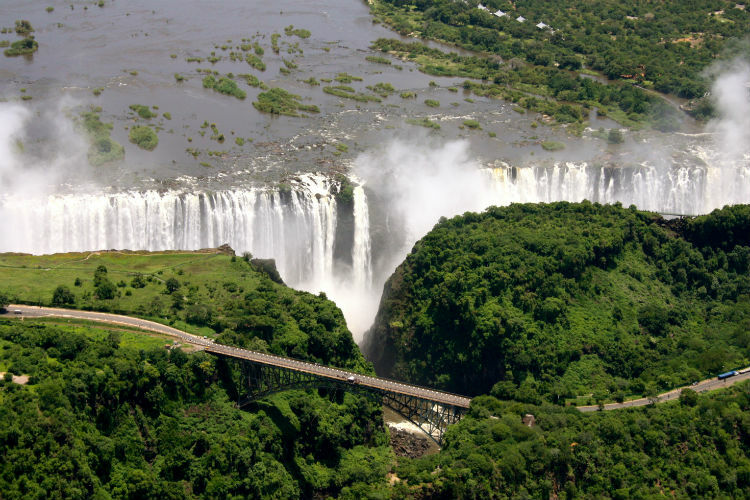 With Chobe being conveniently located within close proximity to the Zimbabwe and Zambian borders, we offer return transfers to Victoria Falls and Livingstone as well as guided trips to Victoria Falls for those wishing to explore the surrounding areas.